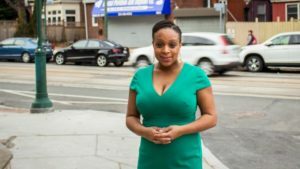 Philadelphia, PA – This morning, Jamie Gauthier, the former Executive Director of Fairmount Park Conservancy, announced her candidacy for Philadelphia City Council District 3. In a video released Wednesday morning, Gauthier, called for new leadership, new ideas, and new energy in City Hall. “We can battle gentrification, create sustainable businesses and good jobs, secure more resources for our schools and public spaces, and make our neighborhoods safer. But to do that we need new leadership. That’s why I’m running for City Council,” said Gauthier, a first-time candidate for elected office. Born in Kingsessing, Jamie is a native of West Philadelphia. 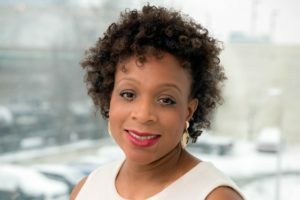 She has worked with non-profits and community organizations to build affordable housing in West Philly, revitalize commercial corridors, improve Philadelphia’s public parks and has led efforts to advance local businesses in West Philadelphia and throughout the region. “I have built my entire career towards serving Philadelphia’s residents and neighborhoods, and I want to take all that I’ve learned and done to City Hall for the benefit of everyone in the 3rd District,” said Gauthier. Jamie lives in West Philadelphia with her two sons, Xavier and Nathan. © 2019 Jamie for West Philly.